one of Melbourne’s premier examples of art deco architecture, the new 38-floor residential development is building upon the original building on the site, incorporating the 1930s era facade. Live only 100 metres from the tranquil Flagstaff Gardens, an array of fine restaurants, endless shopping, universities, corporate headquarters and excellent public transport. Perfectly positioned in the heart of Melbourne City, just 100 metres to Flagstaff Gardens and 300 metres to Queen Victoria Market these brand new apartments are ideal for investors or own use. 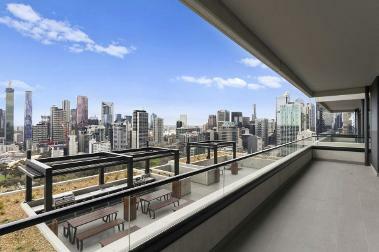 Just minutes by tram direct to Melbourne University and easy walk to RMIT. Convenience and quality of life reign in this series of lovely apartments designed for ease of living and ease of access. These fantastic apartments are serviced by a fully functional kitchens featuring modern appliances, plenty of storage, the bright living areas that open out to balcony. Melbourne's historic Flagstaff Gardens provide a tranquil parkland perfect for casual enjoyment and relaxation. The national trust listed gardens are an inner-city sanctuary loved by locals who enjoy exercising and using the sporting facilities including lawn bowls, tennis courts, jogging paths, volleyball and netball courts. Walk to Queen Victoria Market for your fresh produce and gourmet foods. Browse the numerous stalls for boutique fashion and crafts. Melbourne Central shopping centre is also within walking distance along with many of Melbourne's finest cafes, patisseries, and restaurants. 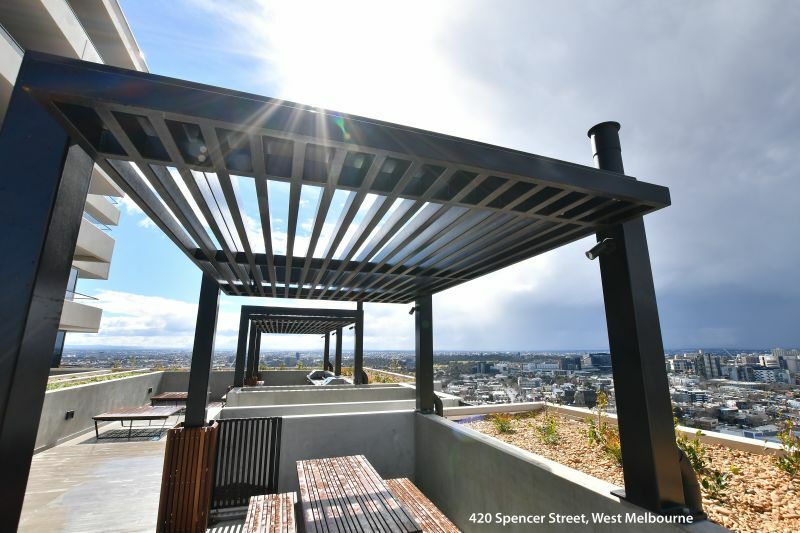 Flooded with natural light and an amazing opportunity for those wanting to experience a relaxed West Melbourne lifestyle, these apartments delivers excellent quality and exceptional modern style. The modern stylish facade with distinctive colours is a prelude to the contemporary apartments which have been cleverly designed to utilize space. A choice of colour schemes complement the stylish fixtures and finishes. Contemporary, galley-style kitchens are well designed with composite stone bench tops and appointed with a dual cook top, externally ducted rangehood, fridge/freezer and convection microwave oven. Sparkling bathrooms are fully tiled with a composite stone vanities and modern fittings. If you want a taste of modern and heritage in ground breaking ways, 420 Spencer is the right place for you! Its striking building has been one of Melbourne’s premier head-starter of art deco architecture as it has been existing since 1930s. Building in order to bring old and new together, 420 Spencer gives an opportunity for residents to experience and be part of Melbourne’s history. Subsequently, its laid-back luxury interior and intuitive designs have given a facade of ease for movement and tactile surfaces crafted from quality materials. Walkability and Accessibility. Offers an easy access to the CBD, education facilities, retail shopping and entertainment amenity, park and recreation space. Population Growth. Forecast population growth of 94% over the next decade with an additional 10,000 residents expected to reside in E-Gate. Infrastructure &Investment. An amount of $32.6 billion of investment across 5 major projects throughout Melbourne is expected to have a positive impact on West Melbourne. Employment and Education. It is just a walking distance to the three major employment hubs in the City of Melbourne as well as Australia’s top ranking University and RMIT. Residential Market. West Melbourne registered a median 2 bedroom apartment price of $627,100 as at November 2017 and strong growth of 16.7% over the past year to November 2017. Height restrictions. New Zoning creates strong height restrictions to for future supply. Rental Market. West Melbourne has a large rental market with median rents across all apartments averaging growth of 7.3% in the past 12 months and a low rental vacancy rate. WHAT DO LOCAL RESIDENTS SAY?